You guys probably remember that a few years ago, I was banned from grocery shopping because I spent too much money on junk. So now Grayson does the grocery shopping, which is great ... but occasionally it doesn't go exactly as I'd hoped. Wheat Thins are a staple around here. Until last year, they were mine-all-mine, but then the boys ALL OF THEM decided that they love them. So now I have to share. 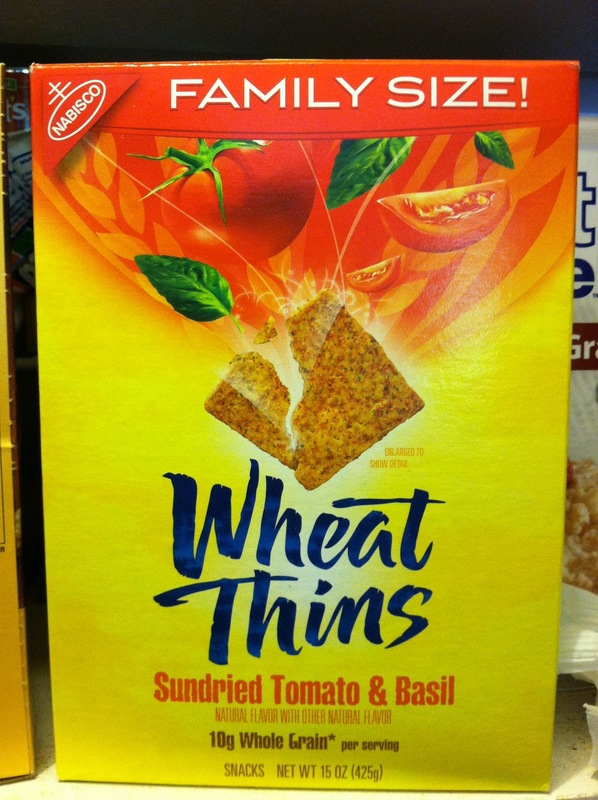 Now, to be fair, I haven't TRIED the sundried tomato & basil flavored Wheat Thins. But without a backup regular Wheat Thin to cleanse my palate afterward, I wasn't going to try them on THIS day. So I put them on the list again. "Wheat Thins x 2," indicating that I needed two boxes. Regular Wheat Thins. Now, I'll eat the heck out of a Triscuit, so this wasn't so bad. But the boys won't. They say they taste like bird's nests. I get it. The texture is definitely different. So I turn around to Grayson and ask, "Do you even LOOK at the groceries you're picking up when you shop?" Because I'm a super-nice, supportive, polite wife. And then I put them on the list AGAIN. My helpful-wife note must have helped, because he came home with two boxes of the right thing. Win! I like my wheat thins with a little garden vegetable cream cheese on it! I took wheat thins as part of Will's W day snack at school. 14 preschoolers can put down some wheat this. 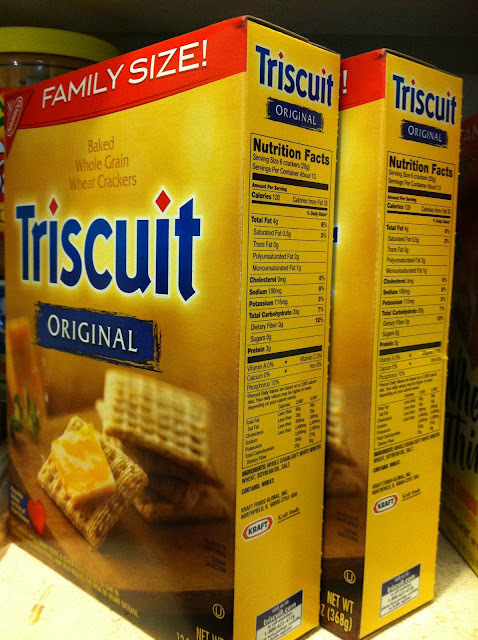 I just had to put down the box and back away before there was wheat thin mutiny! I love your pre-printed shopping list! Those sundried tomato ones are gross. So are every "flavor" Wheat Thins except regular. Trust me. LOL....you're to organized. I do the shopping because I forget a million things when I make a list. Even when I sit down and plan a list. I used to have one on my computer that I would print out. Maybe after things calm down around here I can find some sort of schedule again. 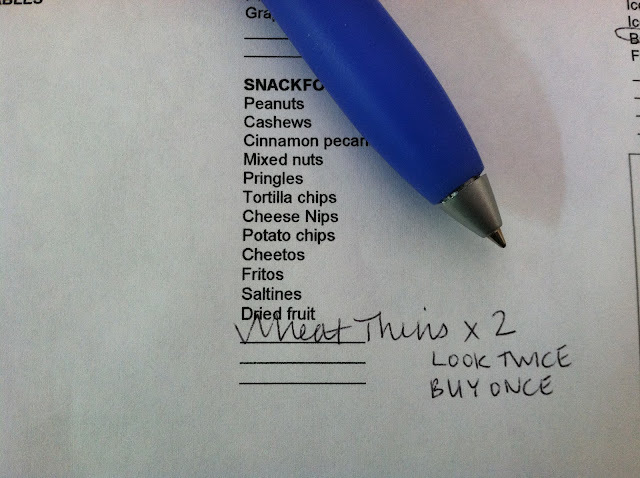 Thanks, now I have to put Wheat Thins on my grocery list.